This topic contains 7 replies, has 2 voices, and was last updated by tonydavies 4 years, 5 months ago. 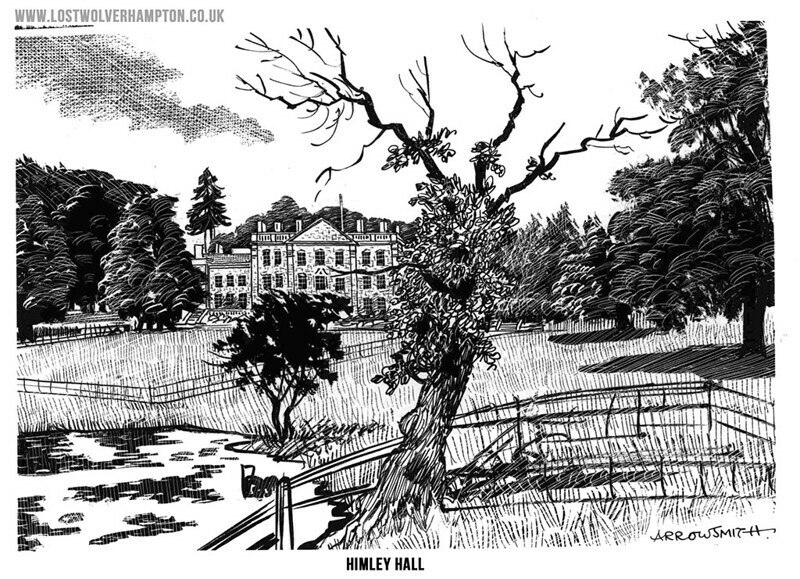 A wonderful Country Mansion featured in the most charming way by the prolific Express & Star Artist, Arthur Arrowsmith in the 1950’s. What connection would you say this acclaimed house at Himley has to a building that houses an acclaimed electrical company in Dudley Street, Wolverhampton today. I’m wondering if this is anything to do with the Dudley Arms that stood in Dudley Street? The Ward family who, through marriage, inherited the title of Lords of Dudley,were resident at Himley Hall until the 1830s. I believe that their coat of arms decorated the front of the buiding in Dudley Street. You are on the right track Tony – So what of the electrical company in Dudley Street. The one that comes to mind is Maplins, although what that company’s connection is to the Ward family I have no idea. Okay Tony you are almost there, and I am dying to place the answer today But if its not the Companys connection with the Earl of Dudley, or the Wards, Whats left. 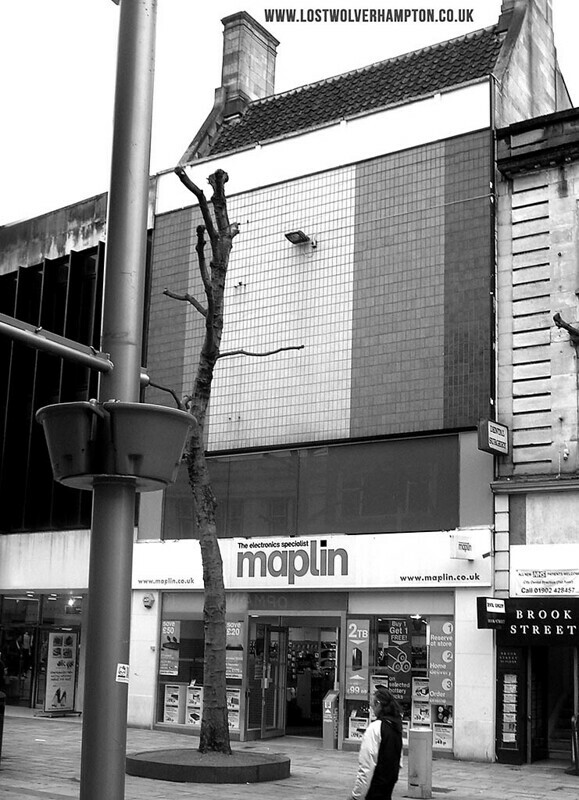 I’m assuming that Maplins in Dudley St is the same building, or site of building, that was formerly the Dudley Arms. Such a shame that we’ve lost so many wonderful old buildings in the name of progress. Bang on Tony, Maplins I believe replaced “Richards” Ladies Fashions, who themselves in the late 1950’s took on the ornate building in Dudley Street the former home of “The Dudley Arms” a Butlers Public House. On the left today still stand “The British Homes Stores”and to the right the entrance doorway that once led to “Jeromes” photographers is still there. I only hope in the near future that when some more enterprising business takes over the building they will move that piece of unattractive facade, to reveal the old public house coat of arms and its frontage in all its glory. I’m with you on that, Billy. How anyone can think that the current facia is attractive is beyond me! I used to walk around Wolverhampton looking above street level to get an idea of how the town used to look in the past – before “modernism” reared it’s head.